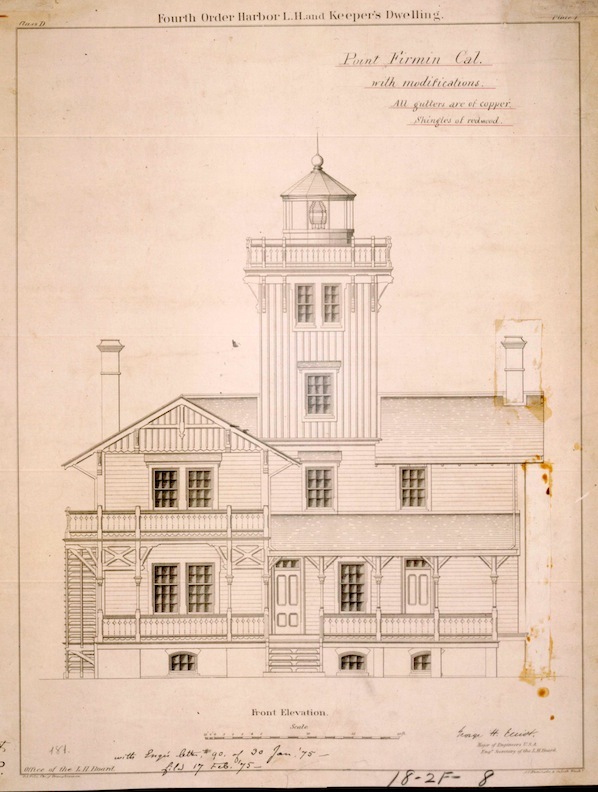 The Noble Maritime Collection recently became the new steward of Robbins Reef Lighthouse, a caisson tower off Staten Island in New York Harbor. 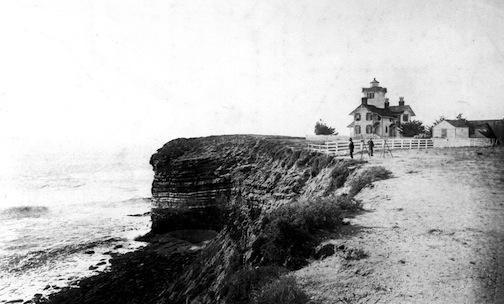 They plan to restore and interpret the station to how it looked in the early 1900s when Kate Walker was the keeper. 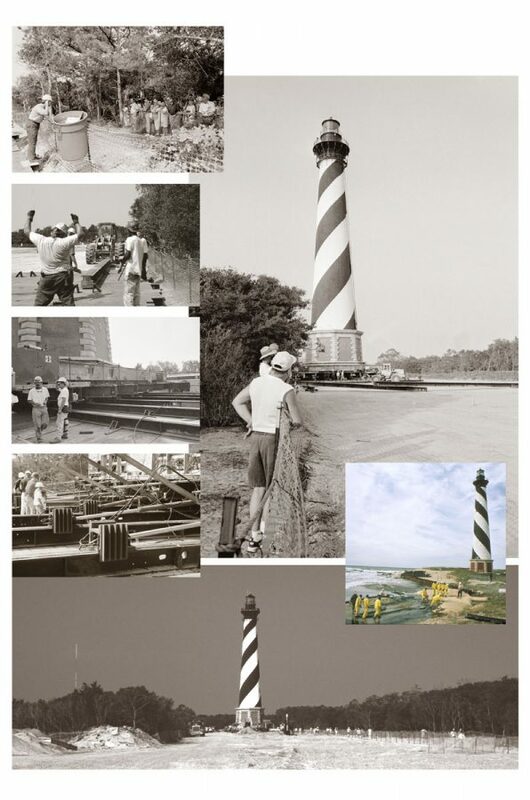 We are excited by this development in that we devoted a chapter to Kate in our book Women Who Kept the Lights: An Illustrated History of Female Lighthouse Keepers and later made her part of the cover image of the kid’s version, Mind the Light Kate: The History of Thirty-Three Lighthouse Keepers. 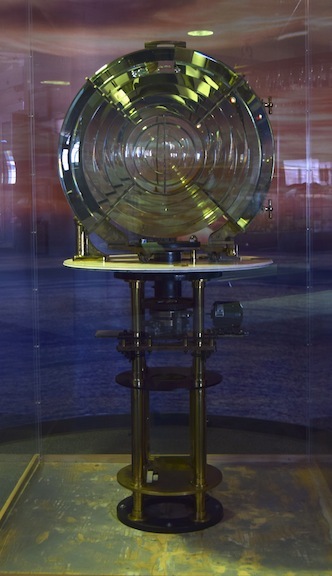 When Kate’s husband John Walker left the light sick with pneumonia, he instructed Kate to “Mind the Light Katie” which she did for the next 29 years. 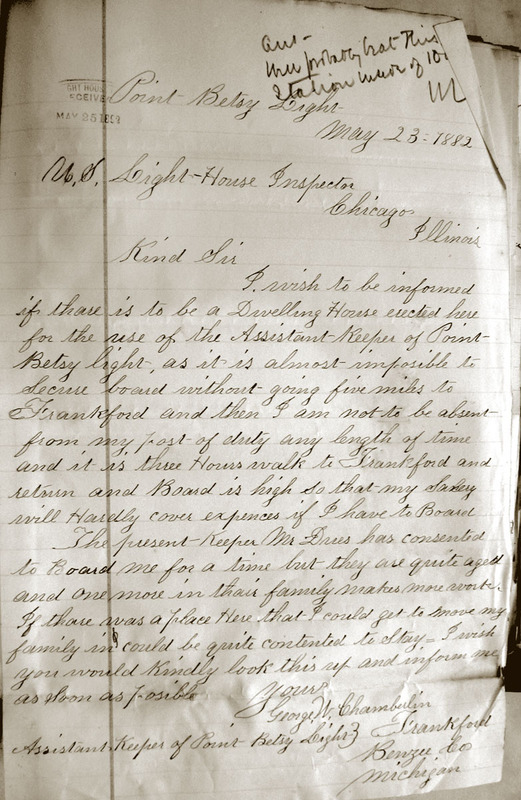 According to a letter from the District Inspector dated June 18, 1894, after John’s death in 1890, Katie was paid as a laborer or acting keeper, not receiving the official keeper’s appointment until four years later in 1894. 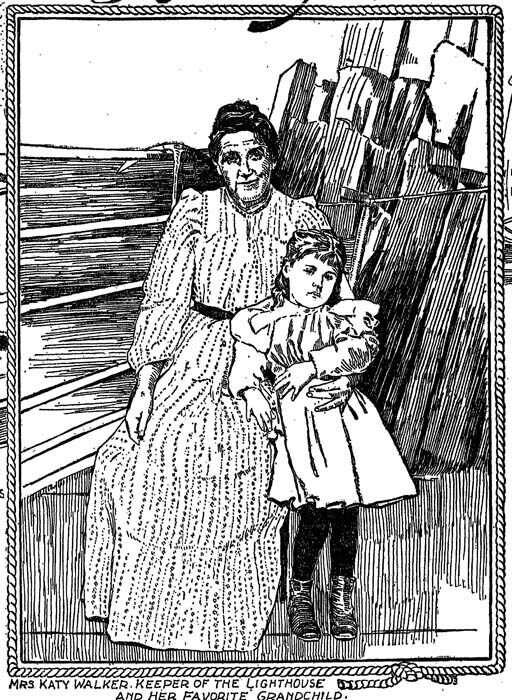 Her son Jacob was appointed her assistant in 1896. 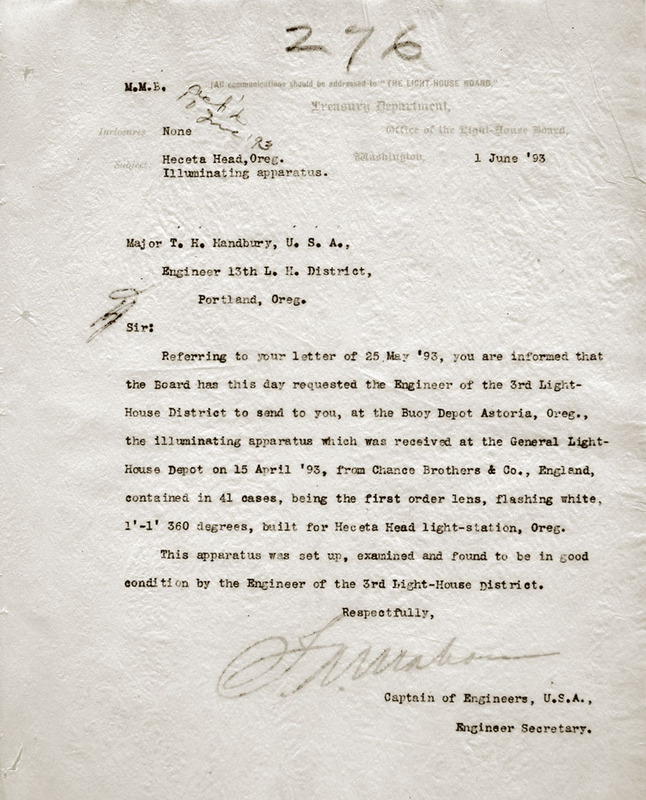 Note in the Register of Keepers below that two men turned down the appointment after John’s death. 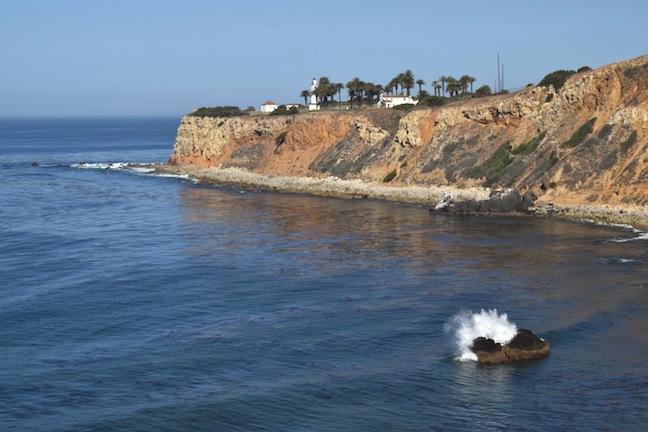 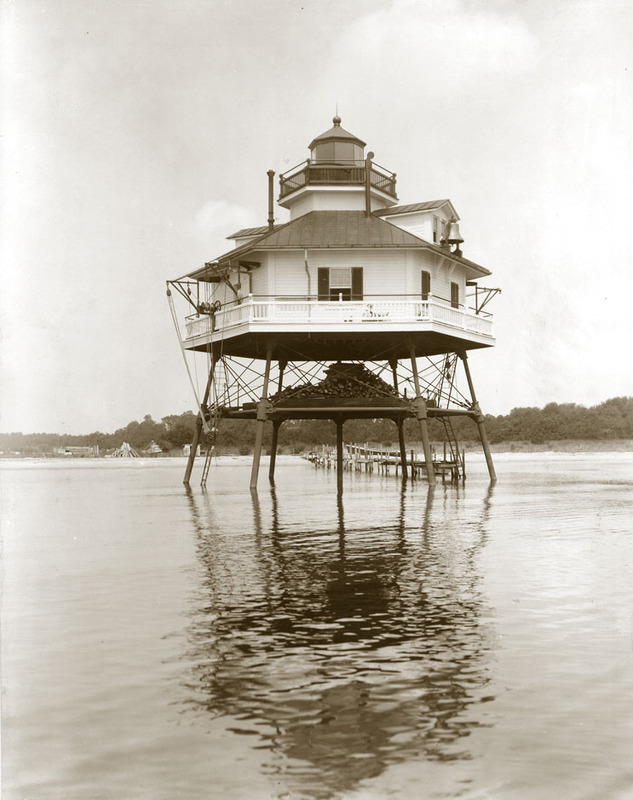 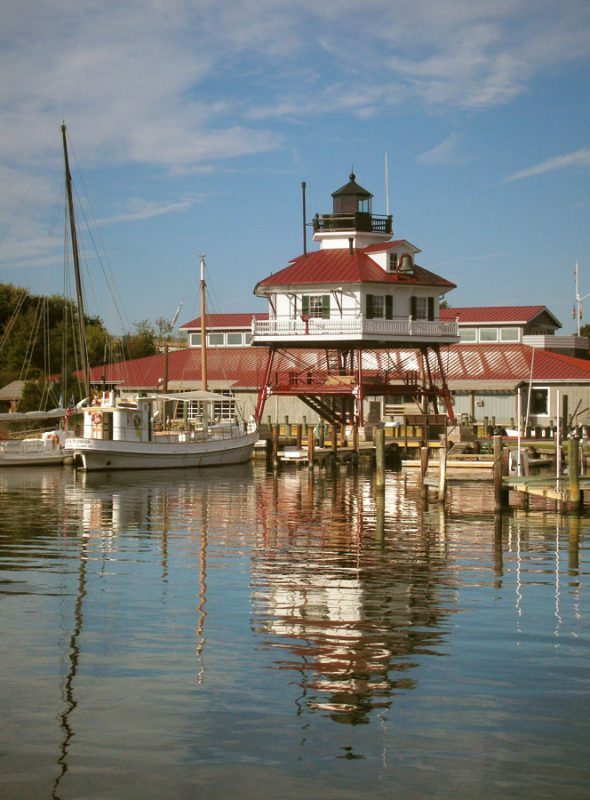 This entry was posted in Books, Contemporary images, Historic documents, Historic images, Lighthouse preservation and tagged Kate Walker, Mind the Light Katie, Robbins Reef Lighthouse, The Noble Maritime Collection on November 20, 2013 by lighthousehistory. 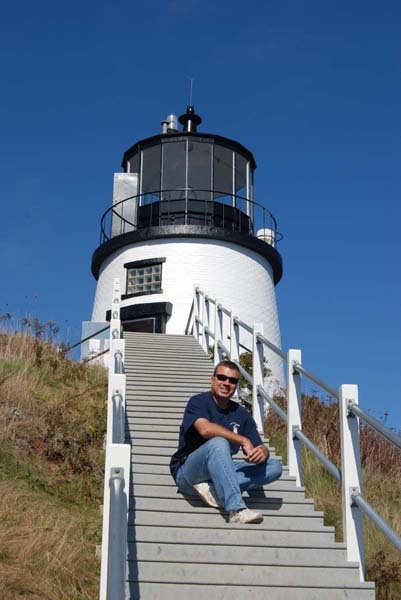 On my recent trip to Maine, I had the pleasure of stopping by Owls Head Lighthouse and catching up with Bob Trapani, president of the American Lighthouse Foundation. 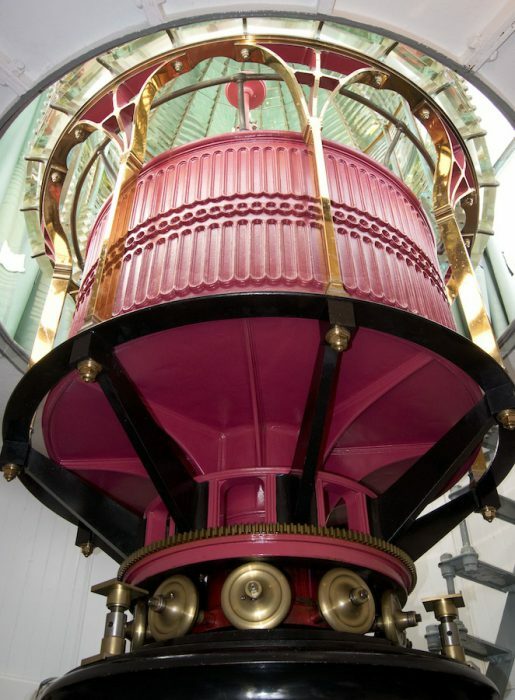 The lighthouse, as you can see from these photos, looks fantastic. 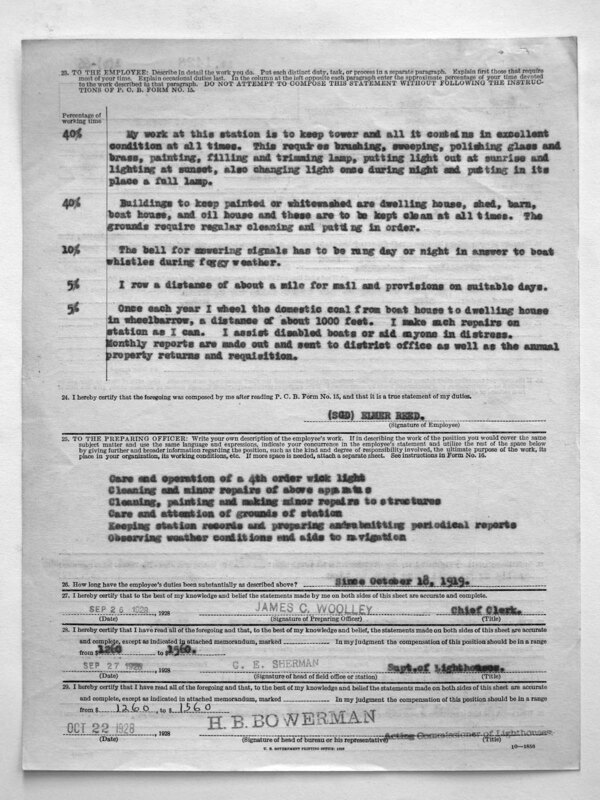 Bob’s hard work has paid off. 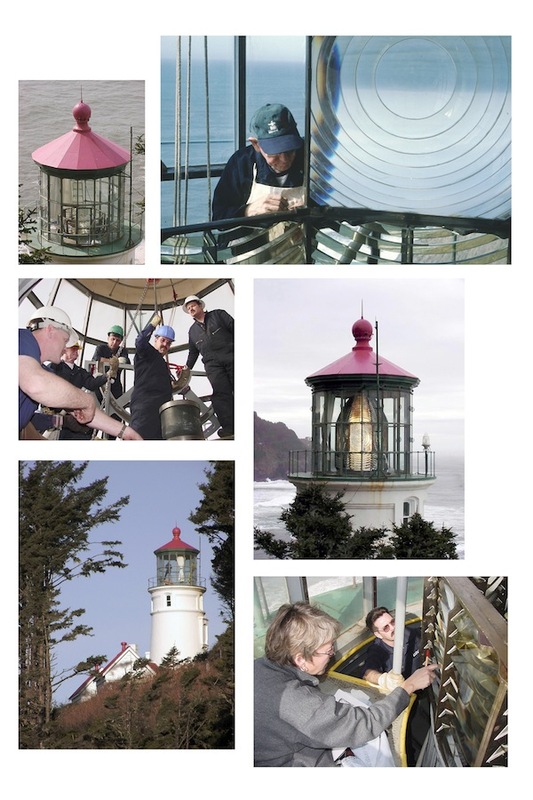 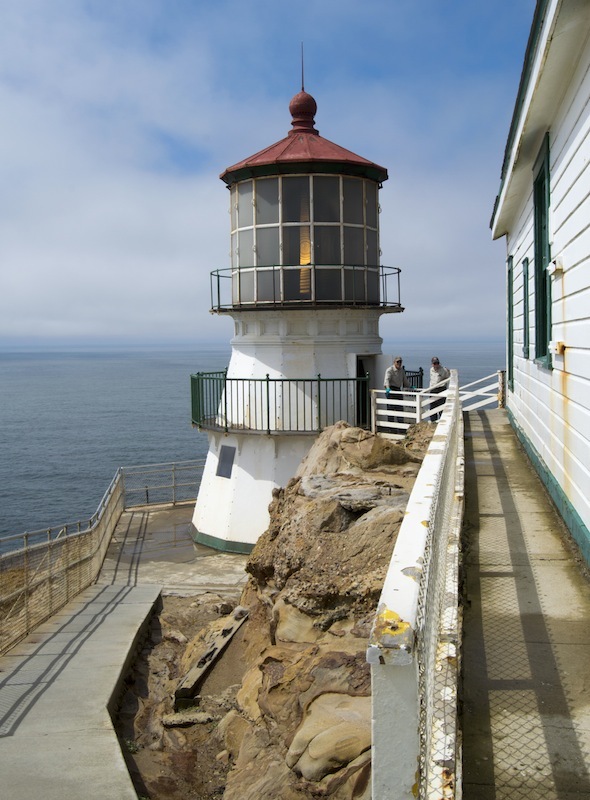 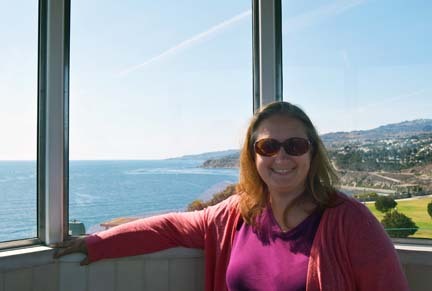 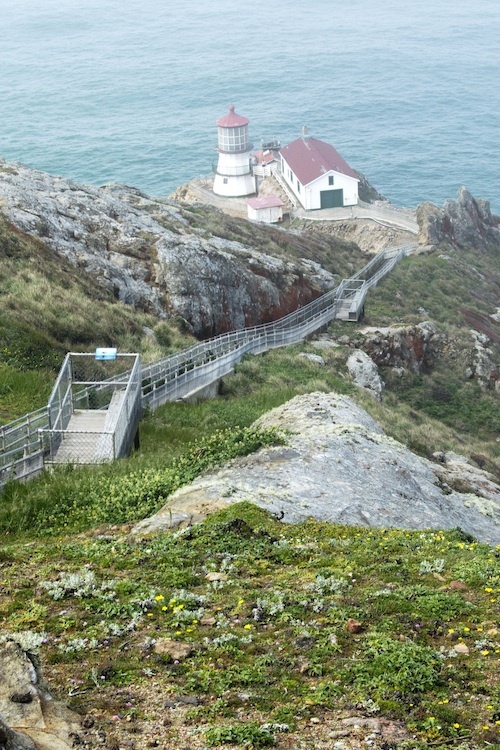 Folks can now enter the tower and climb a few steps to enjoy the view and see the beautiful fourth-order Fresnel lens. 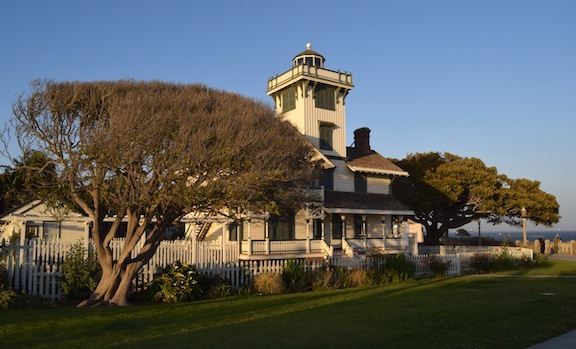 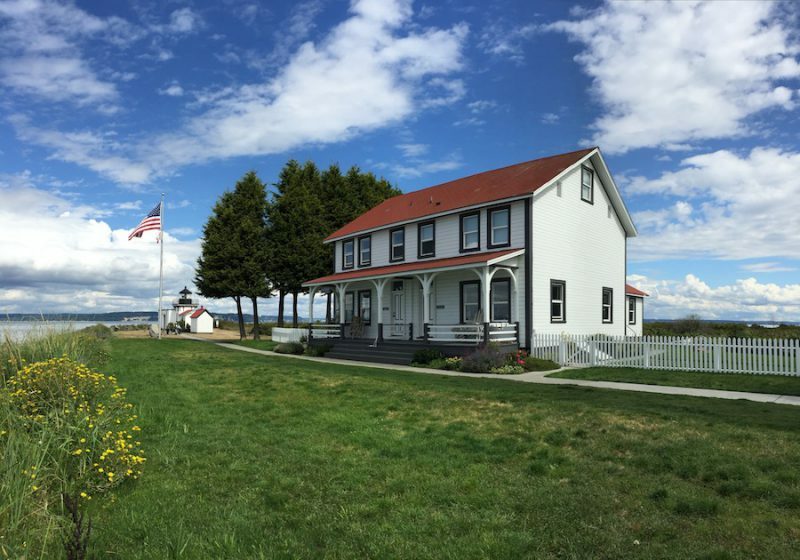 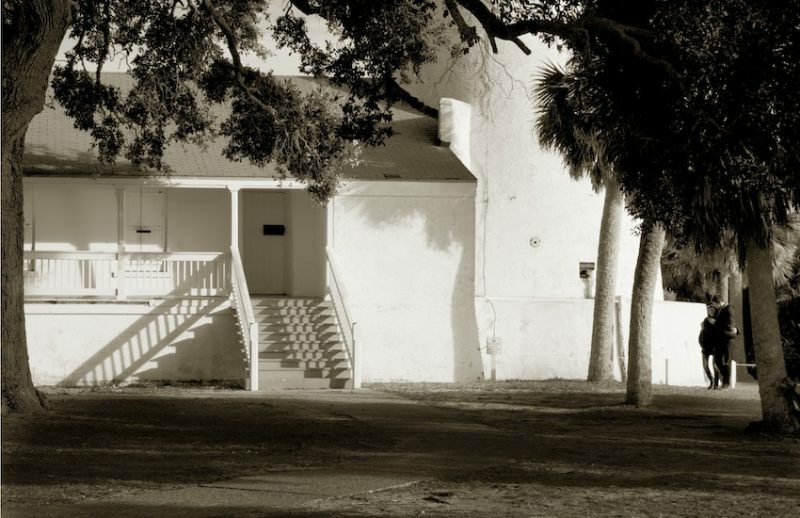 The keeper’s dwelling now houses the offices of the American Lighthouse Foundation on the second floor with the first floor devoted to a gift shop and some interpretation. 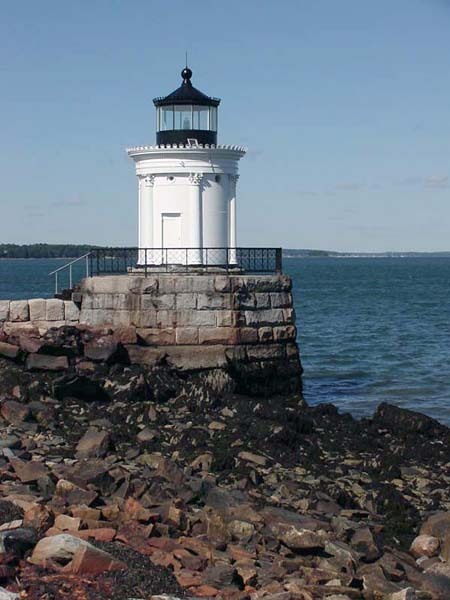 (And yes I did drop off the new edition of Women Who Kept the Lights, the first copy I distributed actually.) 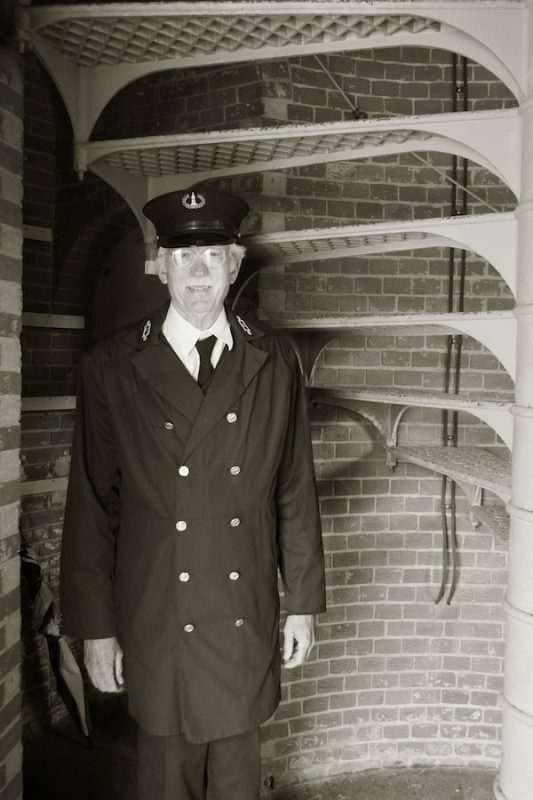 Bob has plans to enhance the interpretation and is currently writing a book about the station using lots of material from the National Archives. 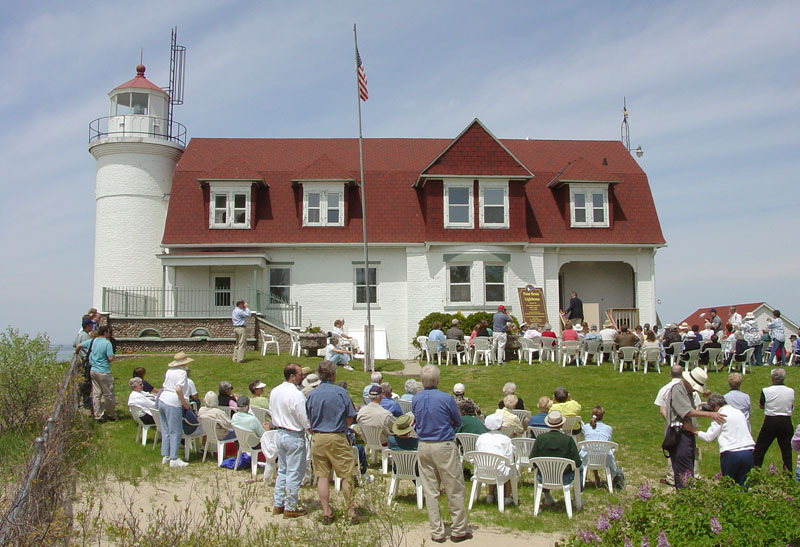 In addition to Owls Head, the American Lighthouse Foundation is affiliated with some 20 other light stations. 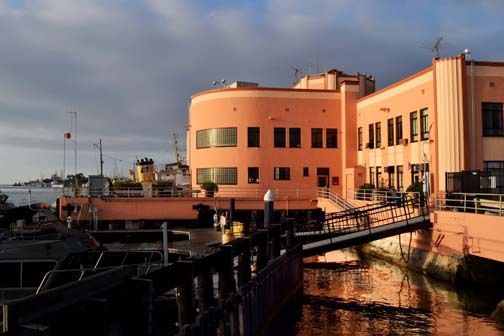 One of the biggest challenges Bob faces is the continuous maintenance and repair these station require in their harsh marine environments. 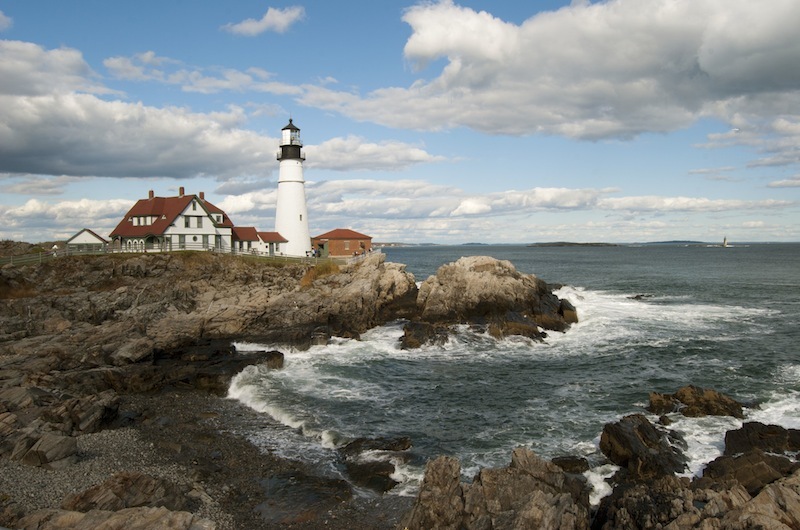 A talented photographer, Bob posts a lot of his wonderul photos to Owls Head facebook page. 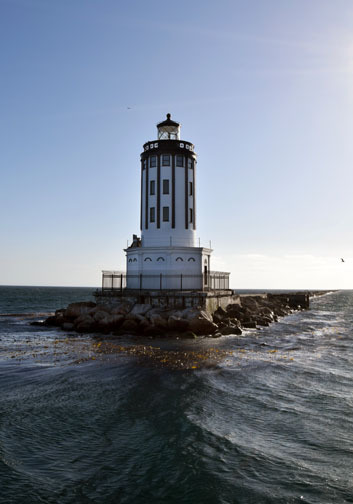 Bob also finds time to work with the local Coast Guard’s Aids to Navigation team, getting a first-hand perspective on caring for offshore lights and the evolving technology. 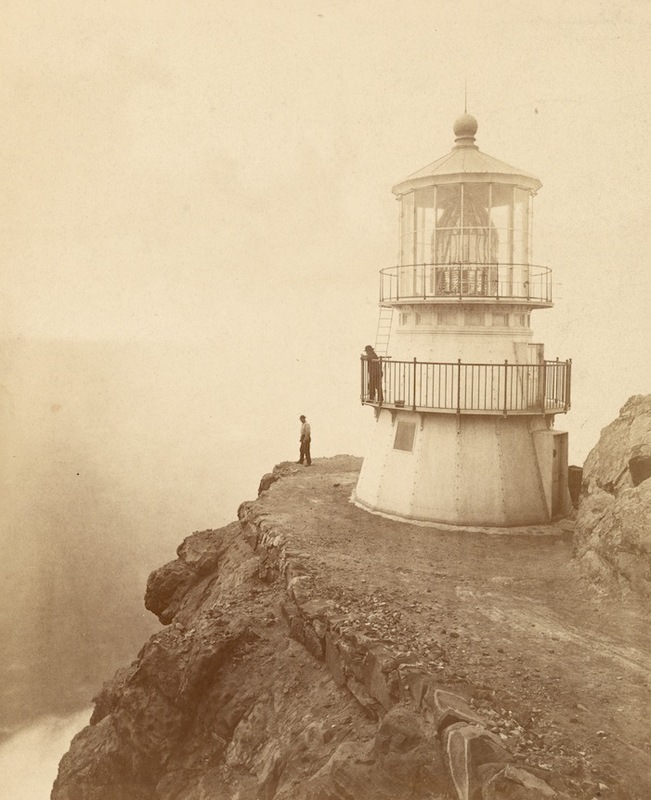 I am very pleased to feature him in the first post of my series on modern-day lighthouse keepers. 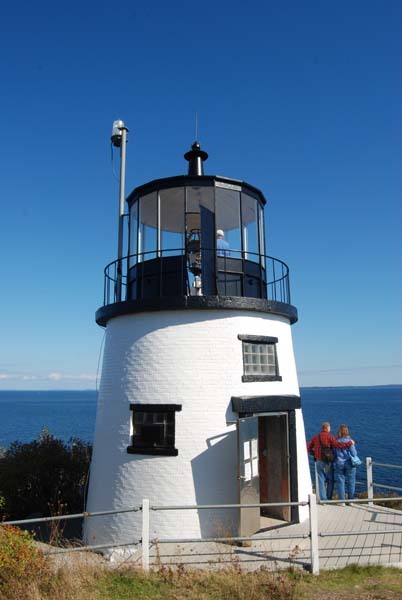 This entry was posted in Contemporary images, Lighthouse keepers, Lighthouse preservation, Modern Day Lighthouse Keeper and tagged American Lighthouse Foundation, Owls Head Lighthouse on November 7, 2013 by lighthousehistory. 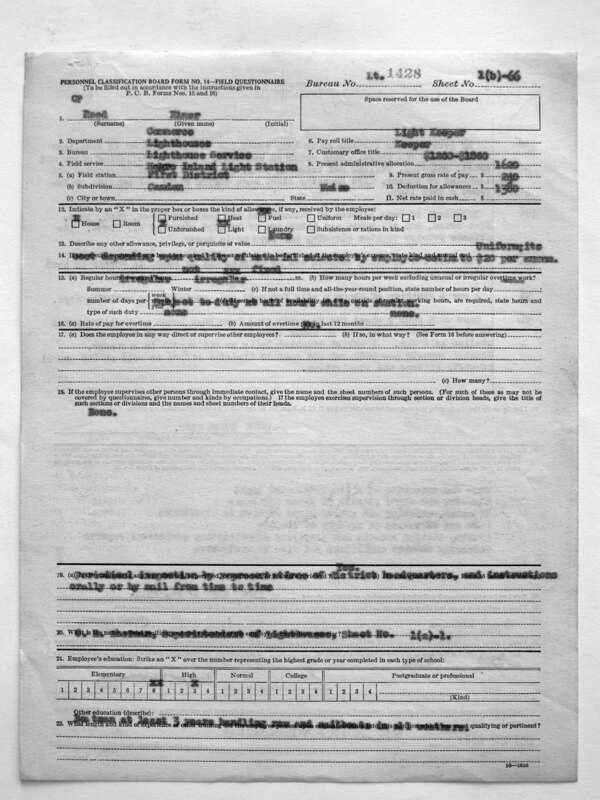 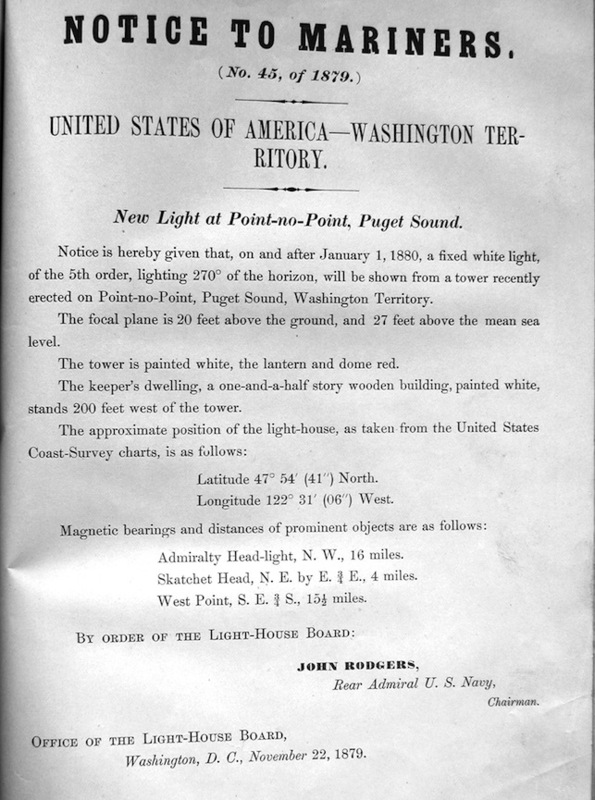 This entry was posted in Contemporary images, Historic documents, Lighthouse keepers, Research and tagged Curtis Island Lighthouse on November 4, 2013 by lighthousehistory. 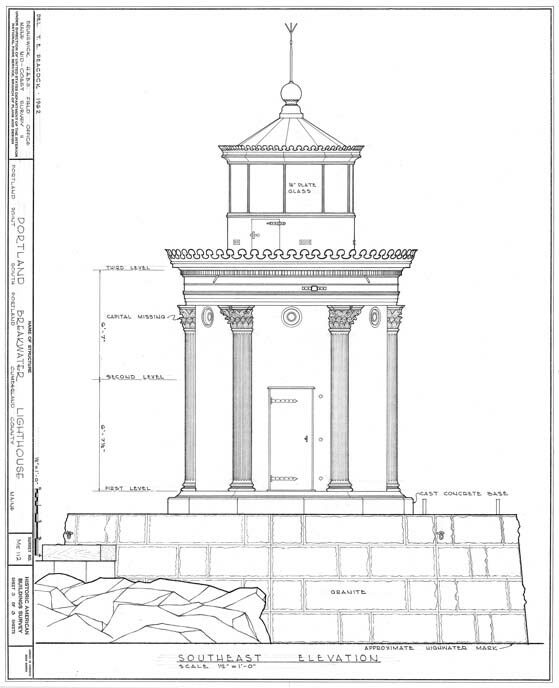 I posted a plan and photo of the first tower on the Portland Breakwater a few days ago. 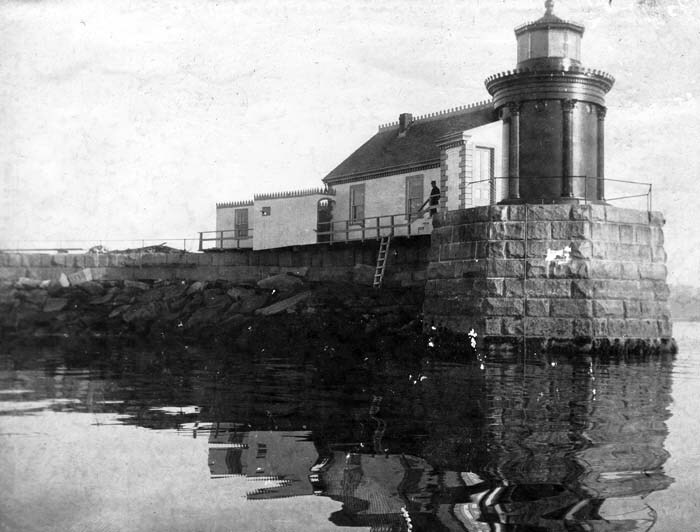 Here is a historic image of the current cast iron tower constructed on the breakwater in 1875. 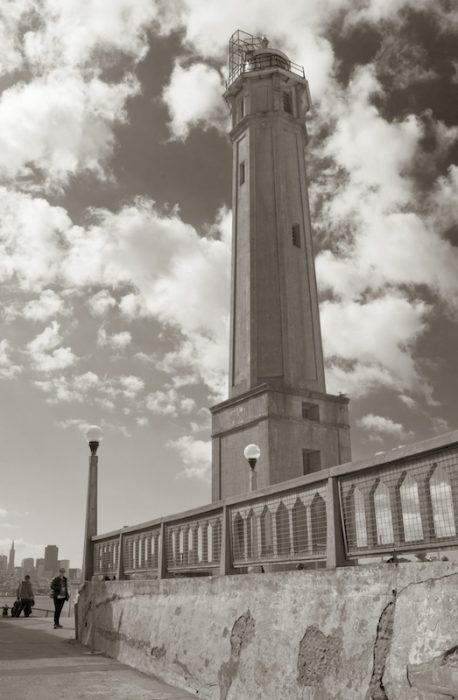 Note that the building attached to the tower no longer exists. 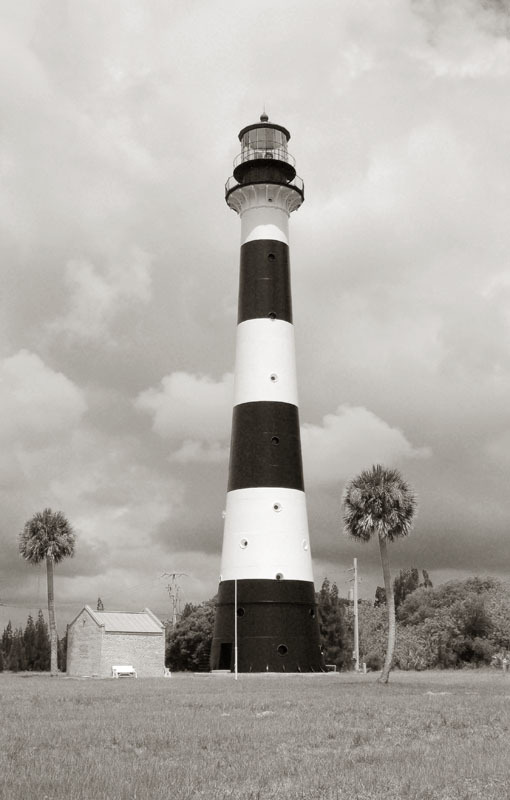 And the current tower is now painted white rather than a dark color. 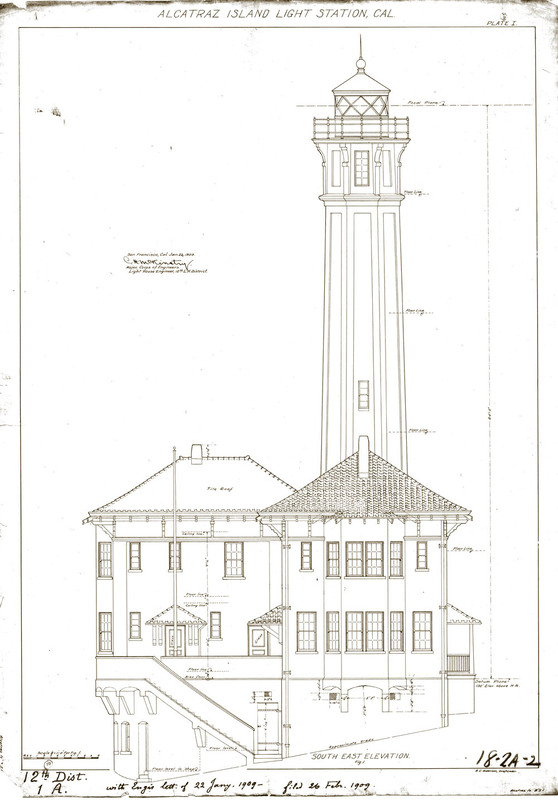 Below is a Historic American Building Survey (HABS) drawing of the current tower. 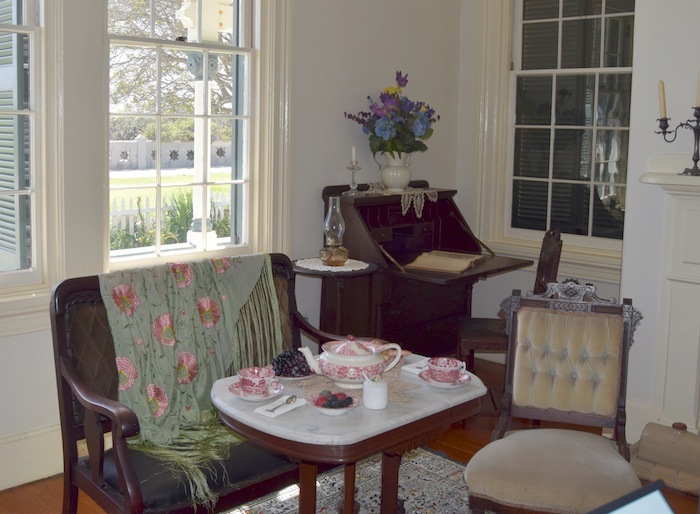 Note the classical columns. 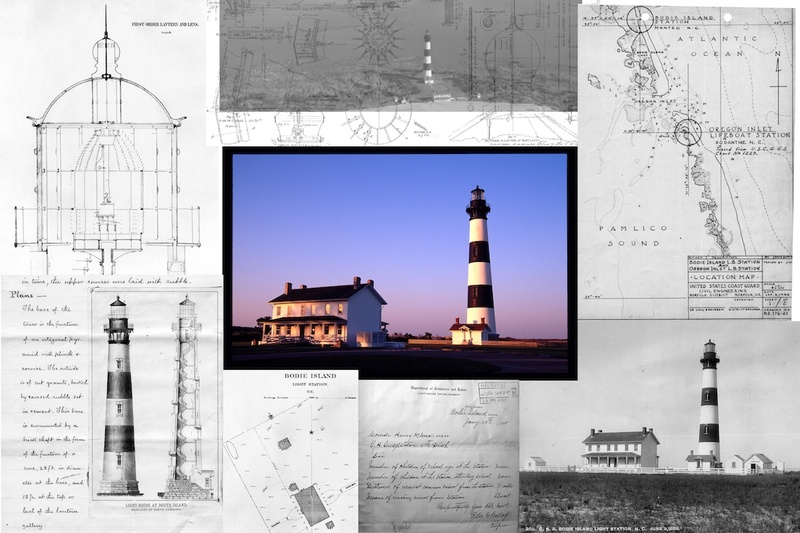 You can download high-resolution HABS/HAER/HAL drawings and photos from the Built in America section of the Library of Congress website. 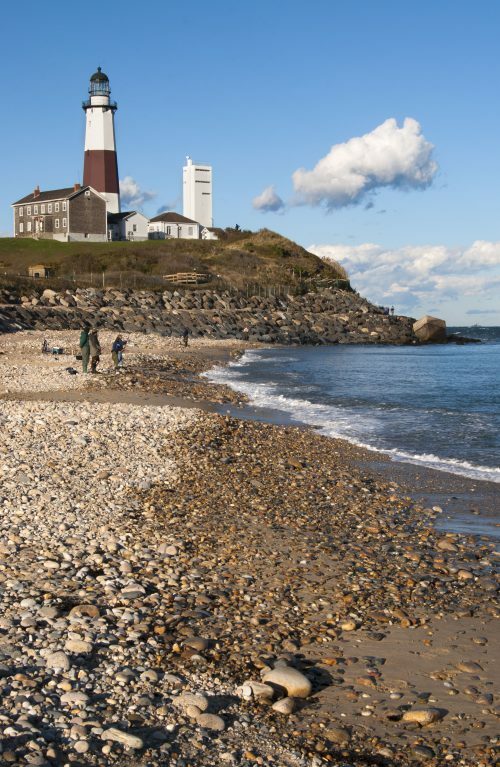 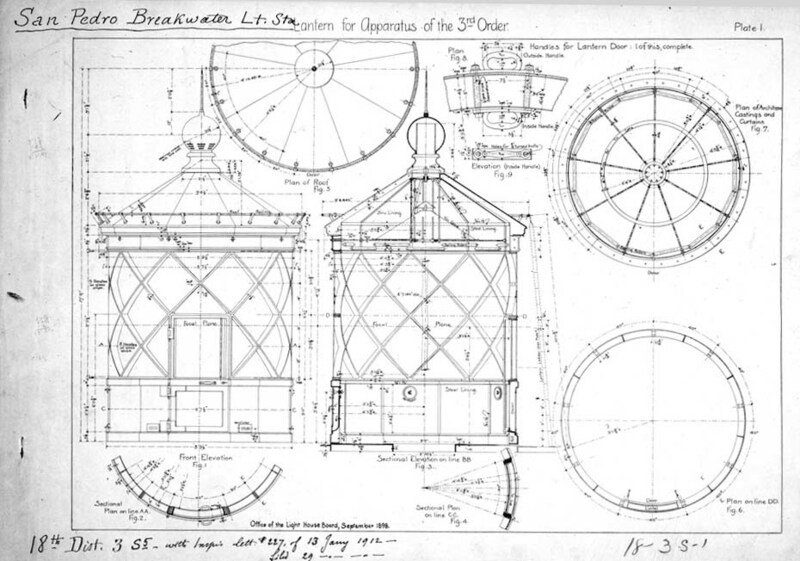 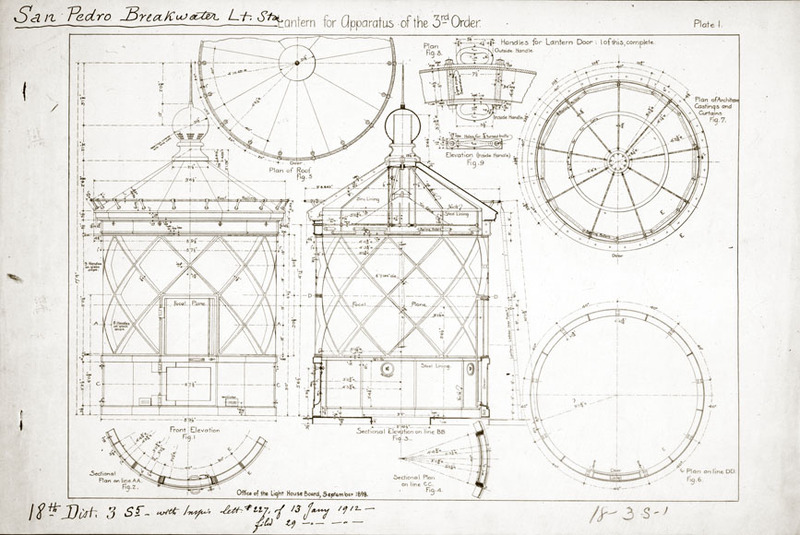 This entry was posted in Architectural drawing, Contemporary images, Historic images, Lighthouse construction and tagged cast iron, Portland Breakwater Lighthouse on October 31, 2013 by lighthousehistory. 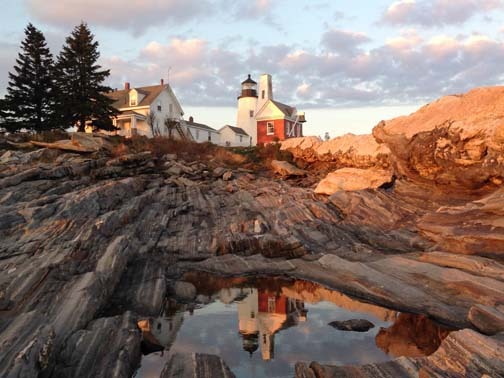 Pemaquid Point Lighthouse is a popular spot for photographers at sunset. 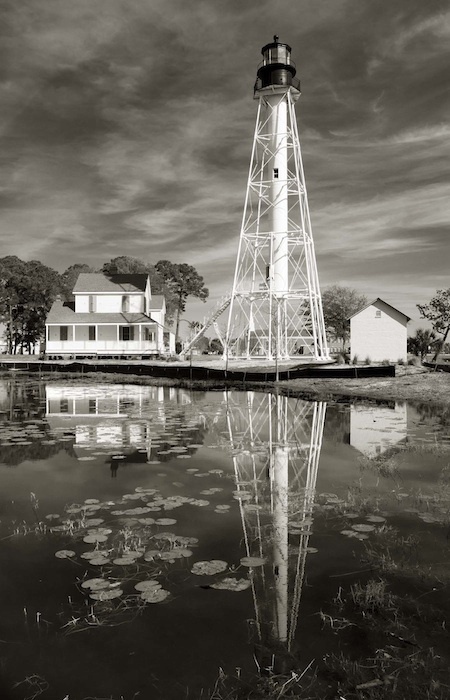 During a recent visit, we all took turns capturing the lighthouse in the reflection. 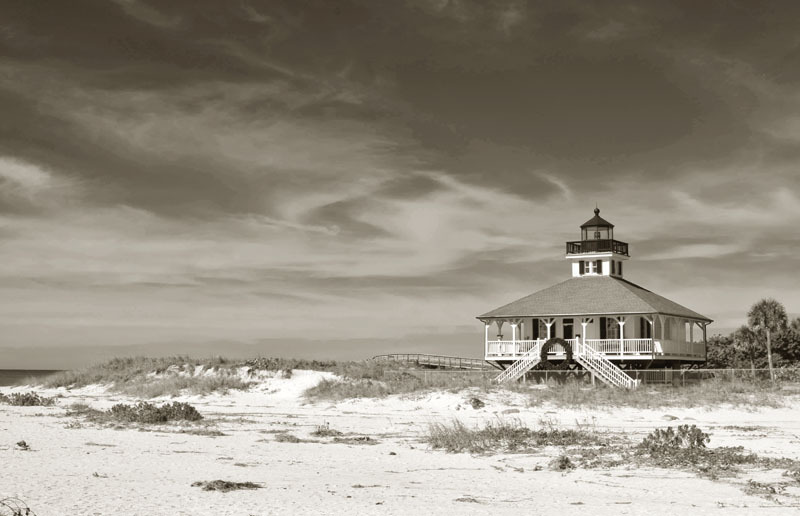 My best shot was this cell phone image. 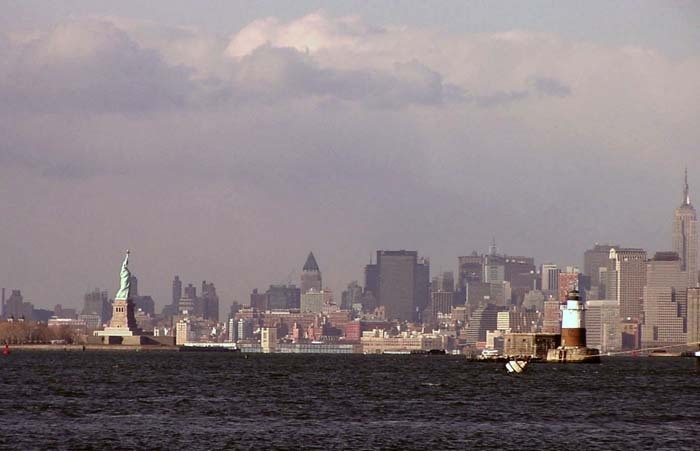 Makes me wonder why I bother with the regular camera! 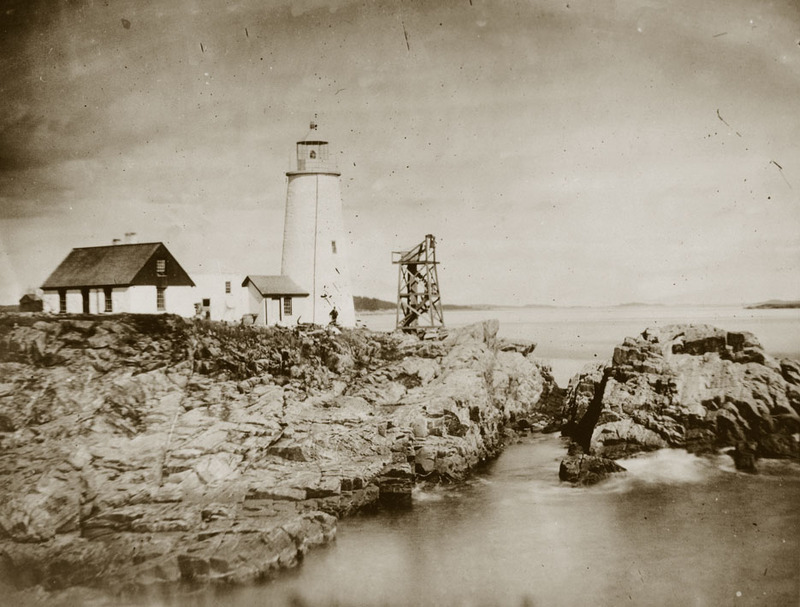 Here is a far older image of the same tower taken circa 1859 before the two fog signals were added. 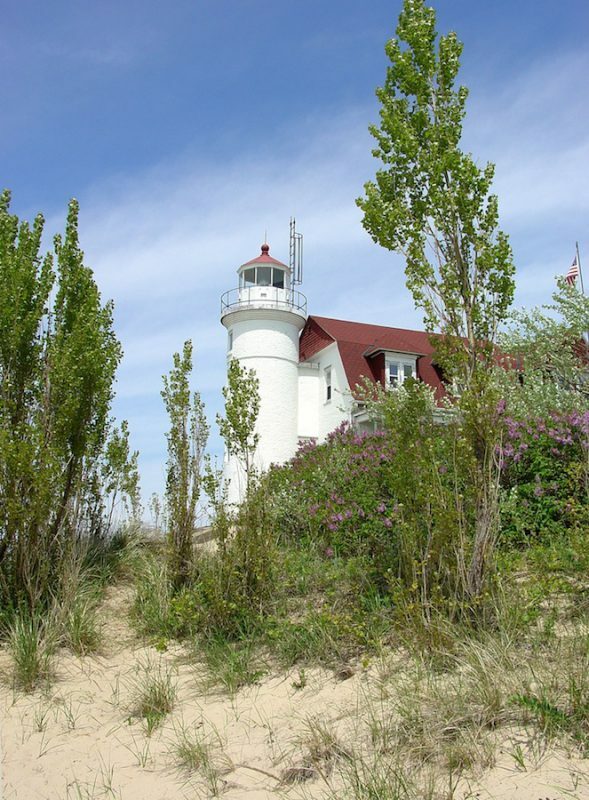 The configuration of the tower and keeper’s dwelling is remarkably similar. 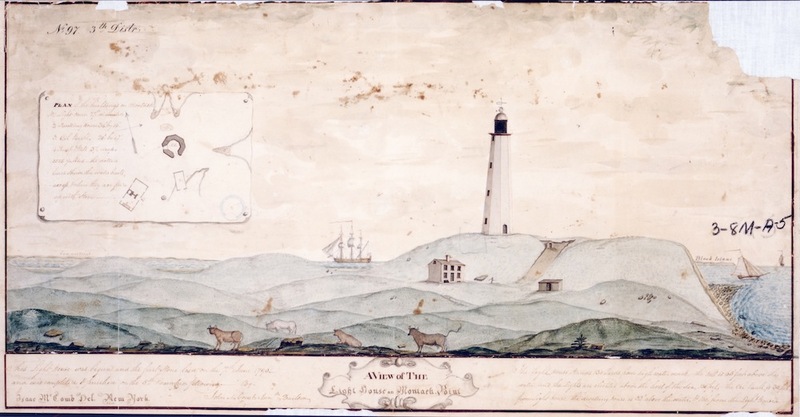 The current tower dates to 1835. 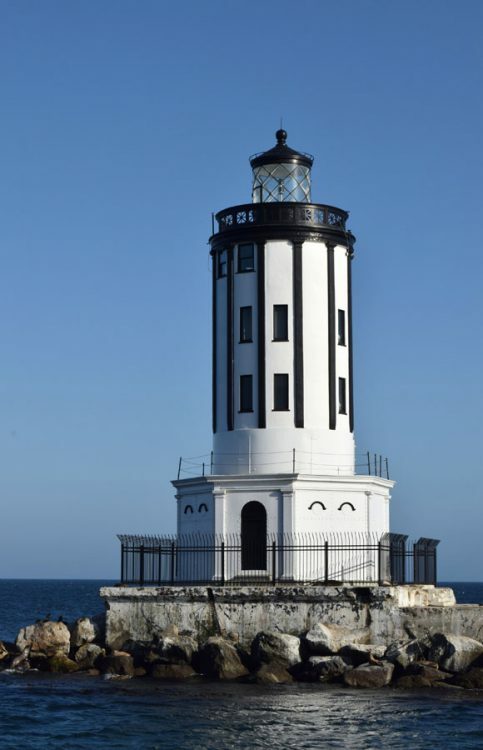 It replaced an earlier tower built by Jeremiah Berry in 1827. 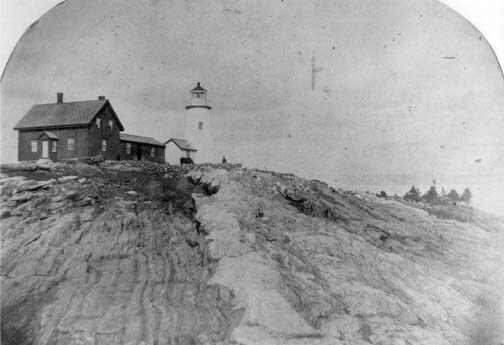 This entry was posted in Contemporary images, Historic images and tagged Pemaquid Point Lighthouse on October 30, 2013 by lighthousehistory.